The image above was my vantage point for much of Saturday afternoon, as Hollis Seamon and I sat in comfortable wicker chairs at the front of the Open Door Bookstore, chatting and listening to Christmas music on the store’s radio. It was a disgusting Northeast kind of day, with sleet in the morning and then a cold steel rain until that night. Perfect for a miserable book signing. Fortunately, I brought my eldest daughter, Grace, with me to this event. Here we are pre-signing grabbing some pizza. She adored Open Door, because she’s a reader and their Children’s and Middle Grade sections are phenomenal. 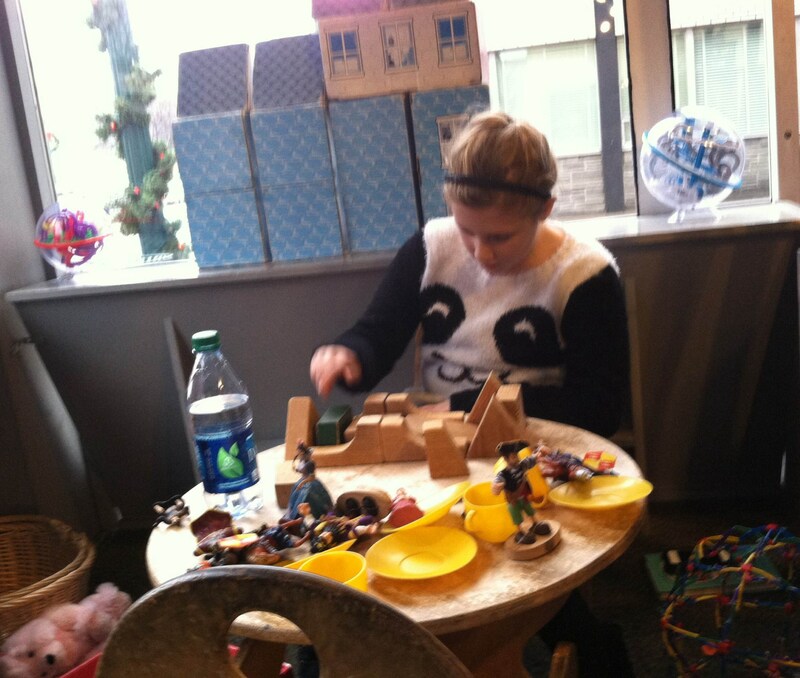 Also, because they have this fantastic play area, which she had all to herself. But as far as the signing, it was as I thought it would be when I woke up and saw the horrible weather: sparsely attended. In spite of excellent promotion, I’ve had a couple of lightly attended signings so far with Press Play, and I’ve had plenty of others with my previous books. This isn’t something I’m supposed to say. I’m supposed to tell all of you about how amazing all of my events are, as if I possess some magnetic power that draws in readers far and wide. That’s just not the case. I understand people have lives, are incredibly busy this time of year, and simply have better things to do. I understand, as much as it stings. This is the business. Saturday, however, was not a total loss. 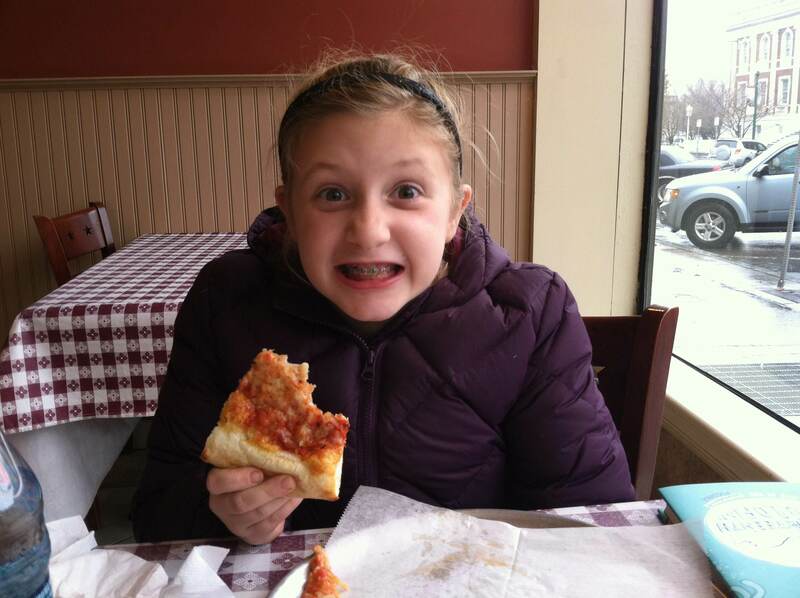 Grace had an absolute blast. She walked away with a toy recorder and a Smencil (waffle cone). More importantly, she walked away seeing the fact that whether people bought books or not, I sat and chatted with them about writing, about books, about life. I’m not good at a hard sell, so I never press people, who I can tell are uninclined. I listen. We hang out. And really, there are a lot of worse ways to spend your time on a cold, December afternoon, than with your daughter, and in the company of good people. 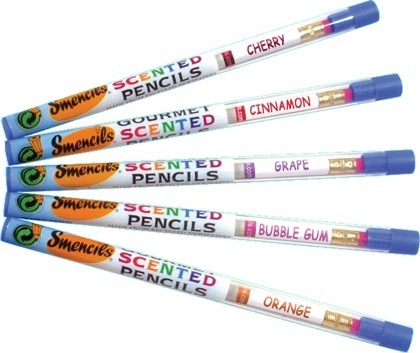 Waffle scented Smencils… definitely not a wasted day.